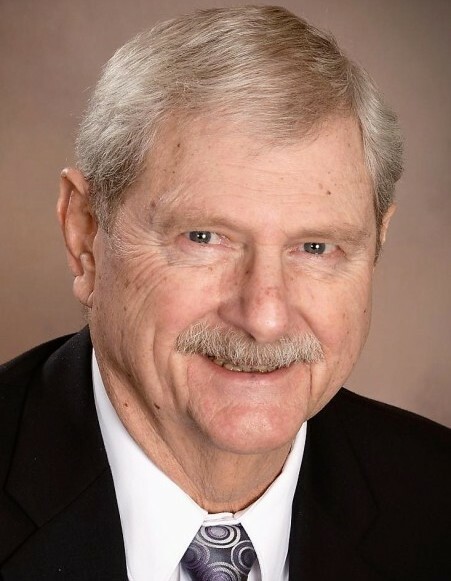 Farrell Dean Sexson, 79, of Pleasant Hill, was born June 19, 1939, in Creighton, the son of Willis D. and Flora E. (Ewing) Sexson. He departed this life Wednesday, October 3, 2018, at his home surrounded with love and family. Farrell was a 1957 Ballard High School Graduate. On August 1, 1966, he was united in marriage to Elaine (McAninch) Sexson in Lee’s Summit, Missouri. Farrell was employed as a General Foreman for General Motors for 16 years. In 1980, he and Jim Waggoner opened and operated Diamond Muffler Shop in Lee’s Summit. In 1984, Farrell opened Pleasant Hill Muffler. Several years later he also opened Sexson Economy Muffler on 40 Highway, and Sexson Muffler at 3030 Troost in Kansas City. Farrell was an active member of the Masonic Lodge, holding memberships at Jewel Lodge #480, Lodge of Research #9998, and Summit Lodge #263. 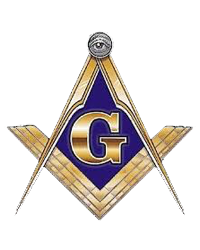 He had served as Worshipful Master, Masonic Home Representative and was District Deputy Grand Master of the 34th Masonic District of Missouri. He and Elaine were active members of the Ivy Leaf Chapter #215 Order of the Eastern Star, Pleasant Hill where he had served as Worthy Patron. He was also a member of the Scottish Rite and Past Commander of Council of Kadosh, Scottish Rite Masons, Past District Deputy Grand High Priest of York Rite,and a member of Royal Arch, Wyoming Chapter, #43, Pleasant Hill. Beyond his passion for Masonry, Farrell loved deer hunting, wood carving, canoeing and boating. He had navigated the Missouri and Mississippi Rivers logging over a thousand miles on his boats, named Bungee Queen and Miss Elaine. Farrell was also a member of the Pleasant Hill United Methodist Church. Farrell was preceded in death by his parents; one son, James Allan Sexson; and one brother, Jimmy Sexson. He is survived by his wife Elaine of the home; one son, Randy (and Shawn) Sexson of Sapulpa, Oklahoma; one daughter, Chris (and Shane) Purnell of Pleasant Hill; GrandchildrenAubrey (and Tommy Moore) Purnell of Greenwood, Mallory (and Alex) Niner of Dallas, Texas, Kimberly (and Blaine) Blackburn, of Kiefer, Oklahoma, Joe (and Tracie) Sexson, of Mounds, Oklahoma, Sallie (and James) McCoy, of Glenpool, Oklahoma, Nichole Sexson of Sapulpa, Oklahoma, Debra (and James) Pruitt, Trisha Sexson, and Mark Sexson, all of Tulsa, Oklahoma; 13 great grandchildren; two sisters, Lillian (and Don) Hill of Butler, Missouri, and Carolyn Morrow of Adrian, Missouri; foreign exchange student/son, Stefan Luecke ( Claudia) of Koln , Germany. Visitation was held Sunday, October 7, at the funeral home followed by Masonic services. Funeral services were held Monday, October 8, at the funeral home. Reverend Dave Owsley officiated. Interment was in the Pleasant Hill Cemetery. Memorial contributions are suggested to Jewel Lodge #480 and may be sent in care of the funeral home. Jewel Lodge #480 A.F. & A.M.